The days of lecturing and textbook stuffed backpacks seem to be coming to an end. 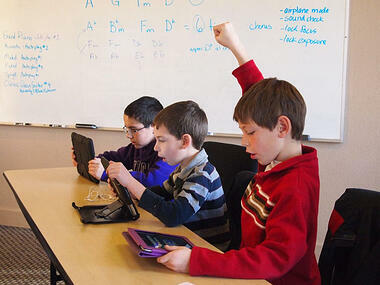 Mobile devices and BYOD trends have advanced the way education is being delivered. As mobile technology in the classroom advances and schools move toward a more interactive learning environment, 1:1 classrooms are growing. However, 1:1 implementation can be an intimidating project for schools. Figuring out an efficient and effective process can be a difficult task. Common Sense Media has created a 1:1 essentials program to provide guidance for schools looking to roll out 1:1 technology. They created the program to help schools proactively, rather than reactively, address issues that are commonly faced during the process. In the program there are 3 phases, each incorporating the tools needed for a successful 1:1 implementation. The phases consist of the Envision phase, Communication phase, and Implementation phase. A few of the tools in the envision phase include guidance on acceptable us policies and support system charts. Protecting the school and students as they access the school wireless network system is extremely important in today’s environment. This can be tricky as you do not want to limit the child’s learning experience. This tool provides a thorough guide to creating an acceptable use policy. It is important to have some sort of planning and support structure. The support systems chart offers a way to keep track of who is responsible for instructional planning decisions and tech-related issues at a school and/or district level. Sharing this tool with families and staff will help in supporting your 1:1 program. This phase includes strategies on how you can communicate with all of the key players involved in your 1:1 program. It is understandable that questions will arise as the implementation of a 1:1 program takes place. This tool provides important starting point questions to create a customized Q&A for Families about your school’s 1:1 program and rollout. 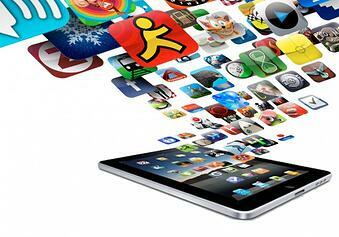 With the abundance of educational apps available, it can be hard to choose which to use. This tool provides suggestions on the best apps and websites for teachers to be familiar with. Phase 3 is your action plan. After envisioning and communicating your 1:1 program, this phase helps to ensure students use their devices in enriching and responsible ways. Common Sense Media’s interactive lesson planning calendar allows you to layout your digital literacy and citizenship into a personalized, monthly calendar. With this tool you can design student boot camps with suggested topics, objectives, and activities from Common Sense Media for grades K-12. 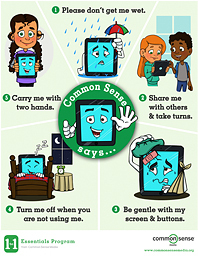 For children who are not already familiar with the mobile devices being used in 1:1 classrooms, visual posters are helpful in describing ways to care for the devices. Especially since children are extremely visual in how they learn. The Family Media Agreements tool can be used at home as a checklist to guide family conversations about media use. This will help children understand the appropriate ways to use their new technology. The Customizable Device Contract will also help in understanding responsible device care. Encourage families to discuss the device use with this writeable PDF form. These are just some of the tools and resources Common Sense Media has provided for schools rolling out a 1:1 implementation. If your school is confident on its decision to move forward with 1:1, be sure your wireless network system in place is capable of handling the increase in wireless devices. Here at Securedge Networks, we have helped hundreds of schools in this process. Contact us here if you have any questions or would like a free wireless design guide to get you started. We look forward to hearing from you! 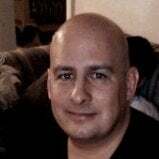 Previous Post: How Do I Install My Wireless Access Points to Optimize My Network? Next Post: When Is a WLAN Truly Controller-Less?